You can apply for the National Competition of the Love & Anarchy Shorts with a Finnish fiction, documentary or animation film that is under 30 minutes. The competition line-up is selected by the festival committee. The management of the festival appoints an independent jury that will choose the winning films. All competition films will be screened at the 2019 Cut to the Chase – Love & Anarchy Shorts event. The main prize is the R&A LIFT Award worth 1500 euros. The prize is sponsored by LIFT festival that combines media, arts, and culture. 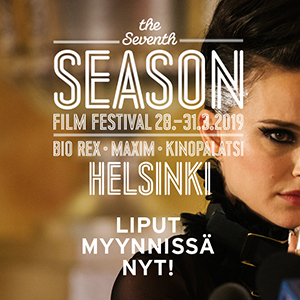 For the first time, the Finnish Film Foundation’s Uusi Aalto Award will be given to a new talent whose short film represents the bright tomorrow of Finnish film. The prize is a festival trip to an European film festival (Clermont-Ferrand, Oberhausen, Annecy, Nordisk Panorama or IDFA). All competition films will also compete for the Audience Award which is a product prize given to the director. Submit your film HERE! Please read the RULES AND REGULATIONS carefully before submitting the film! The submission for the 2019 National Competition is now open until May 31st. Cut to the Chase – Love & Anarchy Shorts will be held from 25th to 29th September as a part of the HIFF – Love & Anarchy Festival.